Whether you agree or disagree with the wisdom of creating a sequel to Finding Nemo, the film is happening, and now it has an official title. Disney-Pixar has announced that the new film will be entitled Finding Dory, and will be released on November 25, 2015. As the title implies, the new movie will have a lot more of the forgetful fish (Ellen DeGeneres), and according to director Andrew Stanton, “One thing we couldn’t stop thinking about was why she was all alone in the ocean on the day she met Marlin. 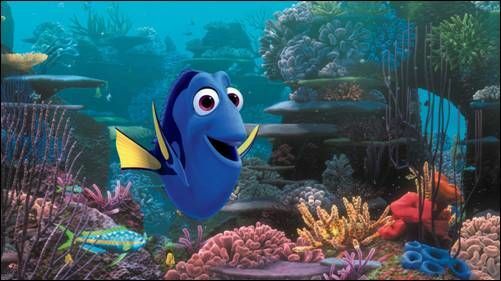 In Finding Dory, she will be reunited with her loved ones, learning a few things about the meaning of family along the way.” The new movie will take place one year after the events of the first movie, and will bring back not only Marlin (Albert Brooks) and Nemo, but also the Tank Gang as well as other characters. The story will also take place partially along the California coastline.